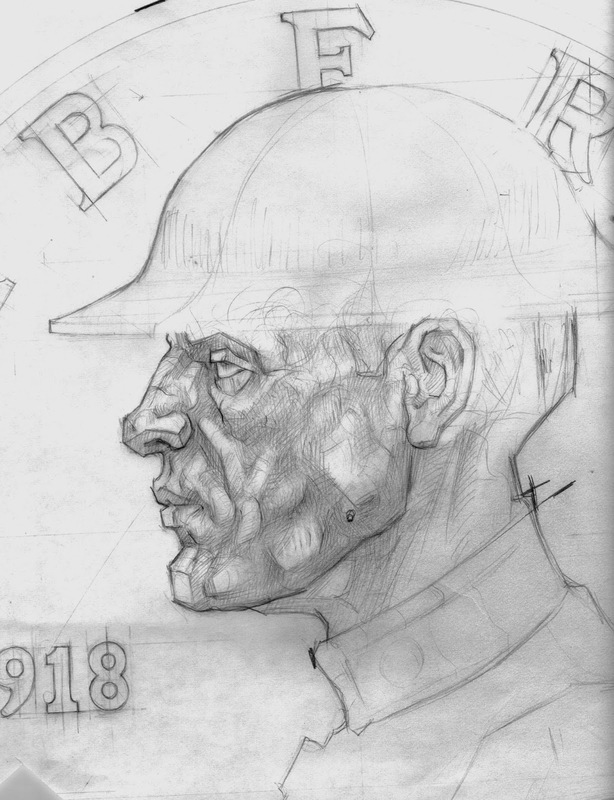 indicating the contours. 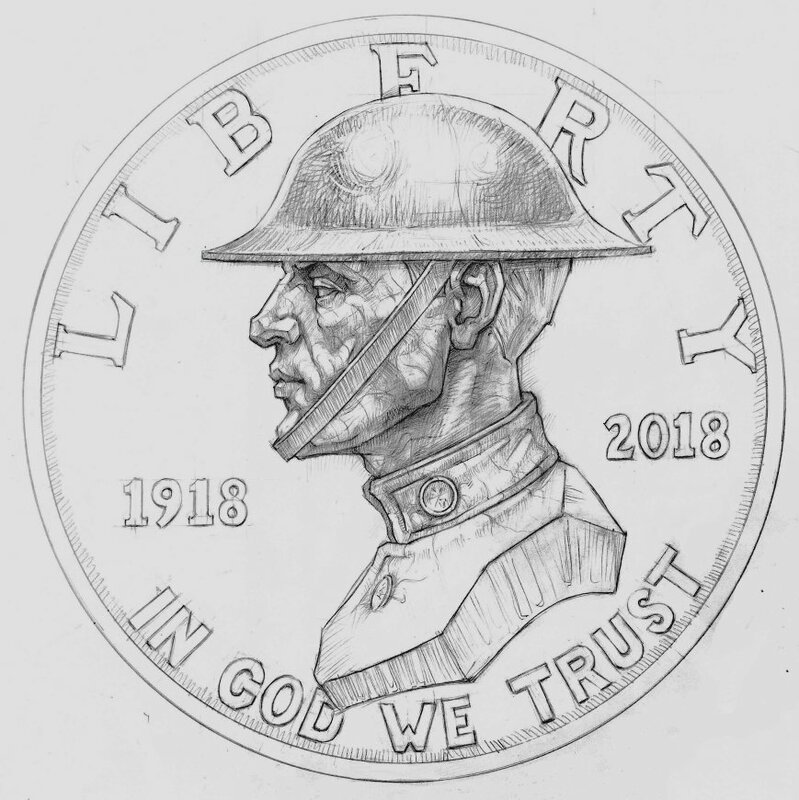 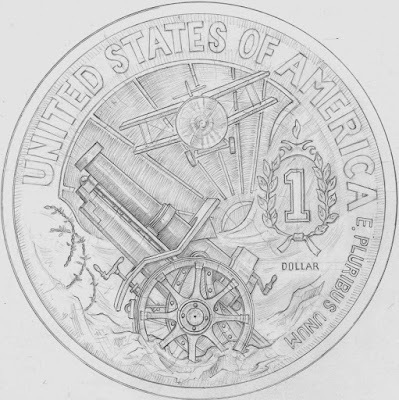 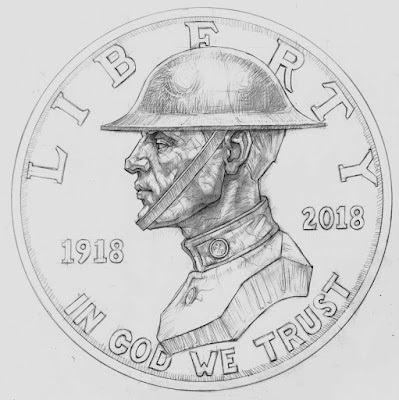 The front of the coin is above and the back is below. 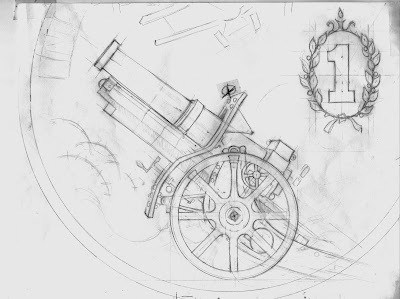 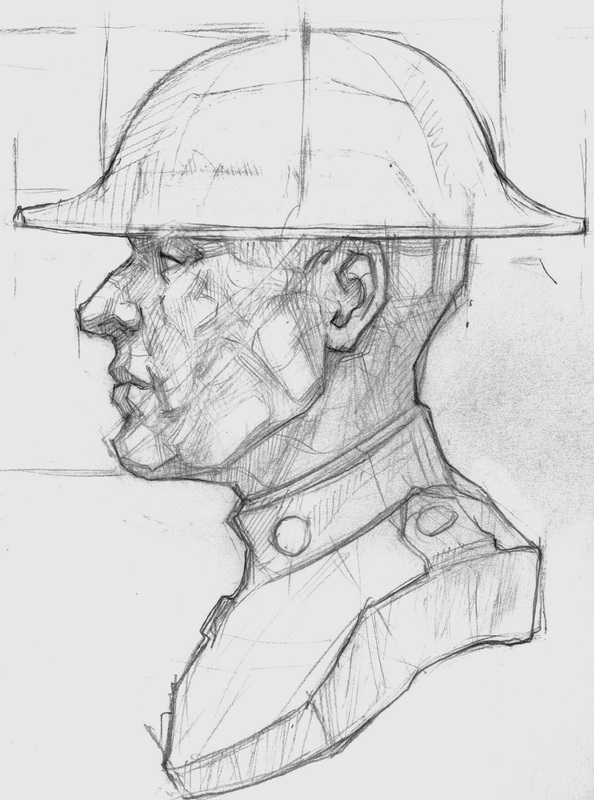 Beyond this are several preliminary pencil sketches. 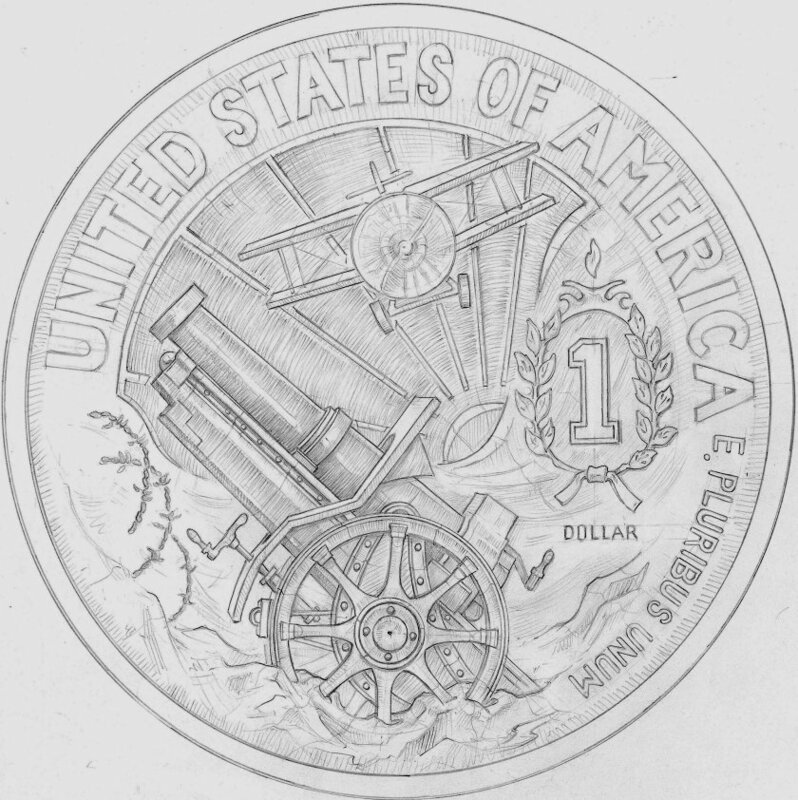 The proposal and all drawings and sketches for this project are now the property of the US government. 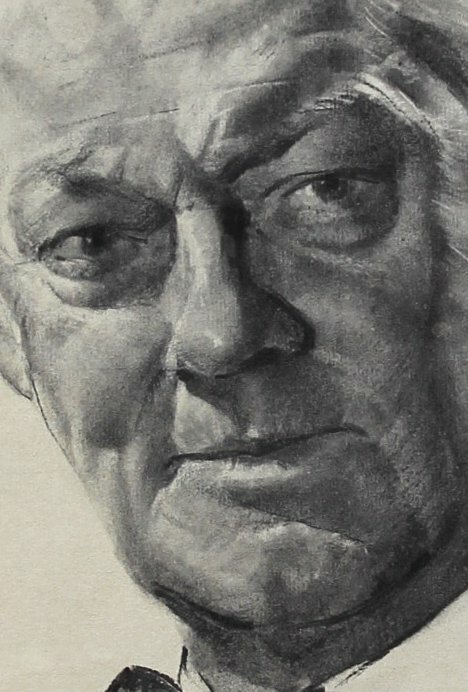 Renowned portrait artist Nicholas Volpe charcoal sketch of Lionel Barrymore from his starring role in ''Free Soul'', for which he won the Best Actor Oscar in 1931. 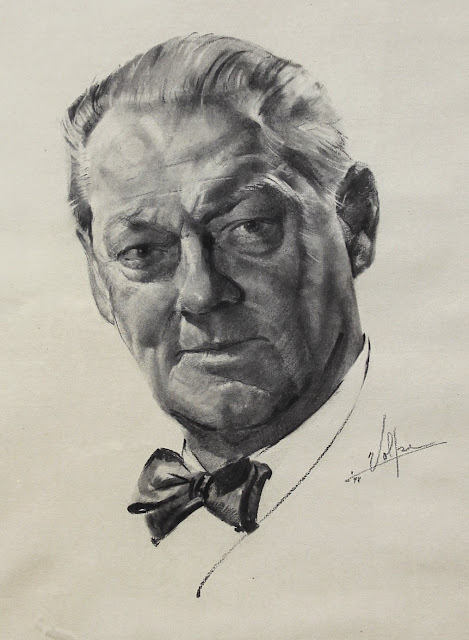 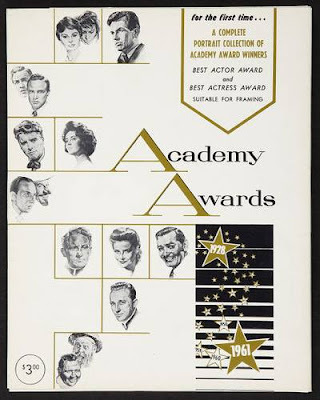 Volpe was given a lifetime commission by the Motion Picture Academy to sketch portraits of the Oscar winners for Best Actor and Actress every year, which were then displayed in the famous Brown Derby restaurant in Los Angeles. It was said that you hadn't made it in Hollywood until Volpe drew your portrait. This original portrait of Barrymore is the singular sketch by Volpe from his performance in ''Free Soul'', commissioned by the Academy. Signed ''Volpe'' at lower right.